2. 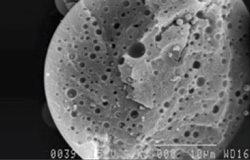 SiliCycle adapts the process according to your purposes and specifications, and generates optimal sphere-shaped composite material (1 to 100 microns spheres loaded with up to 75 % of ingredient). 3. 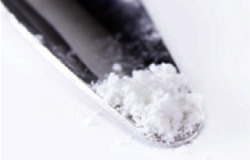 Your ingredient, sequestered in silica microspheres is promptly shipped to you, along with characterization data. 4. The improved ingredient is yours, ready to be tested, formulated and commercialized. 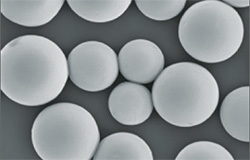 The micron-sized particles show a neat, spherical morphology, without nano debris. The ingredient creates its own three-dimensional pore network during emulsion. The end-of-process composite material is a fine and silky powder. 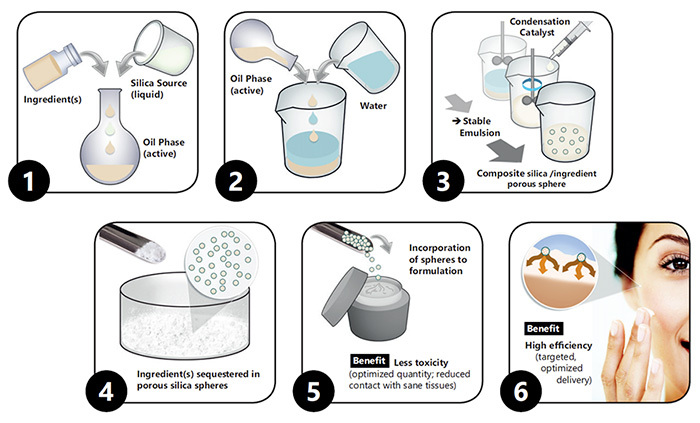 Other ready-to-formulate forms available on demand.